This information is pertaining to additions, deletions and admendments as determined by the Canadian Kennel Club, as it relates to the Tracking Rules and Regulations at this time. This information is not found in the current Rule Book, but will be incorporated at the time of the next printing of the Book. Some information on this page will be found in the Policy and Procedures Manual, current or to be printed at the next printing.
. Changes to the current Rule Book are effective January 01,2013. Click here to download (PDF). In the 2009 Tracking Test Rules and Regulations – Premium List 4.1 (p) it states that ” A statement to include the wording of Section 13.7 is to appear in the Premium List. (e) An apprentice judge must apprentice at a minimum of three (3) Tracking Tests, under three (3) different experienced judges. 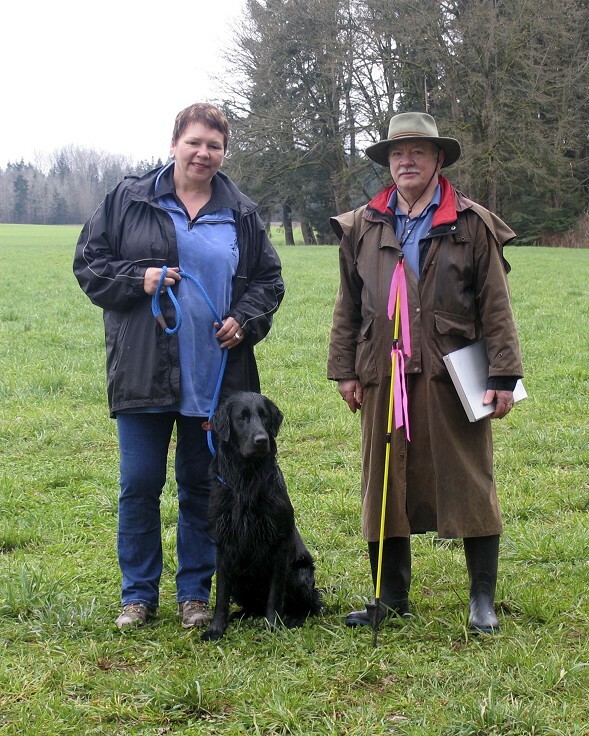 The judges under whom the applicant acts as an apprentice judge, must be judges who are on The Canadian Kennel Club’s list of approved Tracking Test Judges. (f) An apprentice judge must receive three (3) satisfactory reports. 1.2.4 There are two types of approved CKC tracking tests “field” which includes TD and TDX and “urban” which includes UTD and UTDX. 2.1.2 A club that has not held any Tracking Test or has not held an approved tracking test in the past five years must hold one (1) sanction match for each type of tracking test, Field or Urban. (1) An apprentice judge must judge a minimum of ten (10) Tracking Dogs (T.D. ), four (4) Tracking Dog Excellent (T.DX), four (4) Urban Tracking Dogs (U.T.D.) and four (4) Urban Tracking Dog Excellent (U.T.DX) under two (2) different experienced ‘Tracking Test Judges. (1) When assisting with plotting, the apprentice is required to participate in the decision making process during the plotting of tracks. Final decisions are the responsibility of the officating judge. NOTE: The wording See (2) in BOLD above has been DELETED from the paragraph as stated in the CURRENT Tracking Test Rules & Regulations.Rule Book. entries from the alternate list may fill any absentee spaces. An absentee is defined as an entrant who is not present at the draw. The person making the entry shall be notified of his position on the alternate list. Entries will be refunded within 10 days of the tracking test to those on the alternate list who did not participate in the test. If an entrant pulls out of the test and is filled by an alter­nate who accepts the position, then the alternate is now responsible for the entry fee paid to the club. The original participant will be refunded the entry fee in full. If the alternate pulls out after accepting the position, after the closing date, and there are no additional alternates, then this alternate forfeits the entry fee to the club.